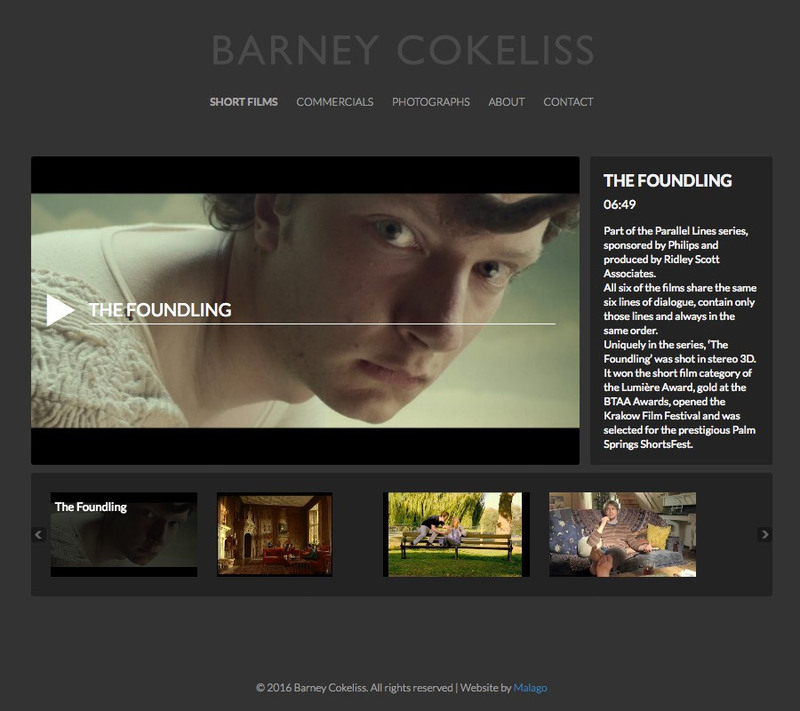 Barney is a multi-award-winning, international commercials director, and has shot all over the world for clients including Lexus, Volkswagen, Crédit Suisse, Liberty Mutual, Peugeot, Toyota, and Yellow Pages. Barney was about to head off to the Toronto International Film Festival, where he had a short film premiering. He realised that his website was very out of date, didn’t work on mobile phones, and many people could no longer see the videos on modern browsers! Luckily a mutual client recommended me, and within a few days (before he set off for Toronto) I was able to build him a new site that solved all his problems and more, allowing him to update content, and add new movies simply by uploading them to Vimeo. I was able to keep to his minimalist design, and overall I am very proud of this site and what I achieved in such a quick turnaround.